Proudly preserved to its junkyard condition, the iconic “Sanford and Son” truck is now on permanent display at BlueLine Classics. 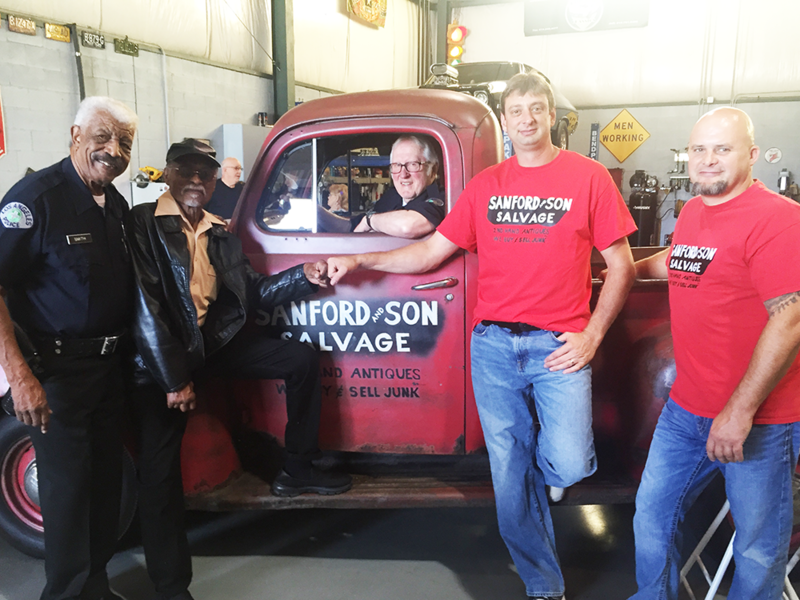 For two childhood friends and the owners of BlueLine Classics, images of the TV show “Sanford and Son” have always flickered past Tim and Jeff’s lives. The beloved show, which starred Redd Foxx, ran for six seasons on NBC between 1972 and 1978 and followed the antics of Fred, a cantankerous widower—“You hear that, Elizabeth? 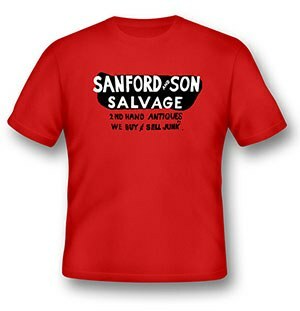 I’m coming to join you, honey!”—and his son, Lamont, as junkmen and proprietors of Sanford and Son Salvage. As the show’s endured over the years, so has Tim and Jeff’s friendship, first as police squad car partners and now through their shared passion for classic cars. Years ago, sitting in front of a grainy TV, Tim and Jeff never could have imagined that the same run-down red 1951 Ford F1 truck, a prominent fixture on the show always parked at Fred and Lamont's place, would one day be parked at their place. When the iconic “Sanford and Son” truck went up for auction in 2014, Tim and Jeff couldn’t turn away any more than they could turn away from the first funky notes of Quincy Jones’ “The Streetbeater”—Bah-da Bah-da-da—the show’s classic theme song. In September 2016, BlueLine Classics hosted the “Sanford and Son” Reunion. The actor who played Rollo (Nathaniel Taylor II) was there, along with the two actors who played Officers Smitty and Hoppy ( Hal Williams & Howard Platt)—unlike, Tim and Jeff, the two former police squad partners hadn’t seen each other for 40 years. It was a memorable reunion for the actors, and they were happy to stay and talk to the crowd, reminiscence and sign Sanford and Son Salvage T-shirts, as well as autograph the truck. The reunion was a celebration of what made Sanford and Son great, the show’s enduring ability to bring people together—and that ain’t no jive. 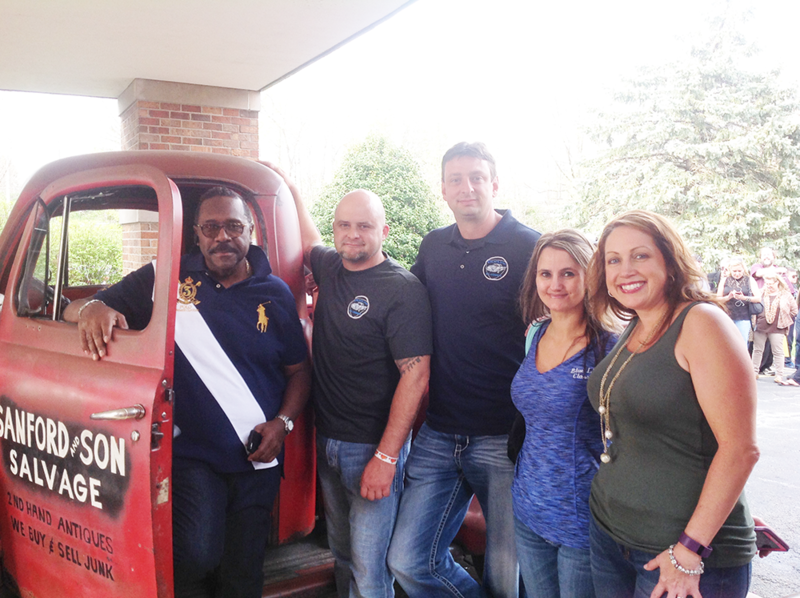 During the time that BlueLine has owned the truck, they have also been in touch with several other Sanford and Son cast members, to include Demond Wilson (also known as Lamont), Gregory Sierra (also known as Julio), and Raymond Allen (also known as Uncle Woody), all of whom have autographed the truck as well. The “Sanford and Son” truck always draws a crowd. 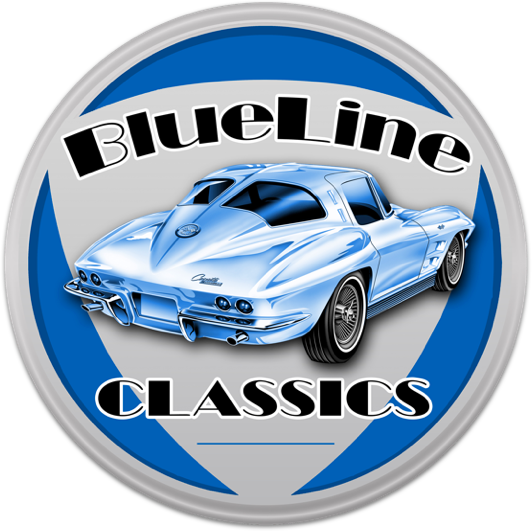 See it for yourself at BlueLine Classics, or tell Jackie about your event and we might see you there. Reach out to 216-701-5905 or jackie@bluelineclassics.com.